1. 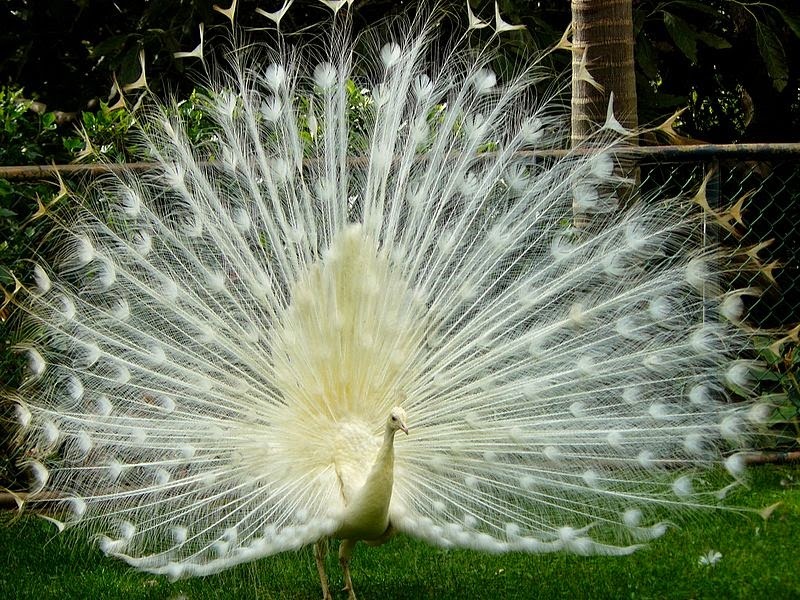 “The pride of a peacock is the dignity of God”, it is very truly quoted by William Black. 2. Male peafowl are up to 46 inches (117 cm) tall from bill to tail; females are up to 38 inches (96 cm) tall. 3. Males weigh nine to13 pounds (4-6 kg); females weigh six to nine pounds (2.75-4 kg). 4. Males have a long train of feathers four-and-a-half to five feet (1.4-1.6 m) long-60% of their total body length. 5. Their wingspan is about four and a half feet (1.4 m). 6. Males have metallic blue heads; neck and upper breast are blue with green and purple shades; tail feathers are metallic green with lilac or purple and dark eyespots. 7. Females are muted brown and beige colors with white underneath and greenish neck feathers. 8. Both males and females have a prominent crest on top of the head. 9. Males develop their brilliant plumage and magnificent trains by the age of three but younger males will practice fan spreading and courtship displays. Lifespan for Indian peafowl is about 20 years in the wild and up to 30 years in captivity. 10. 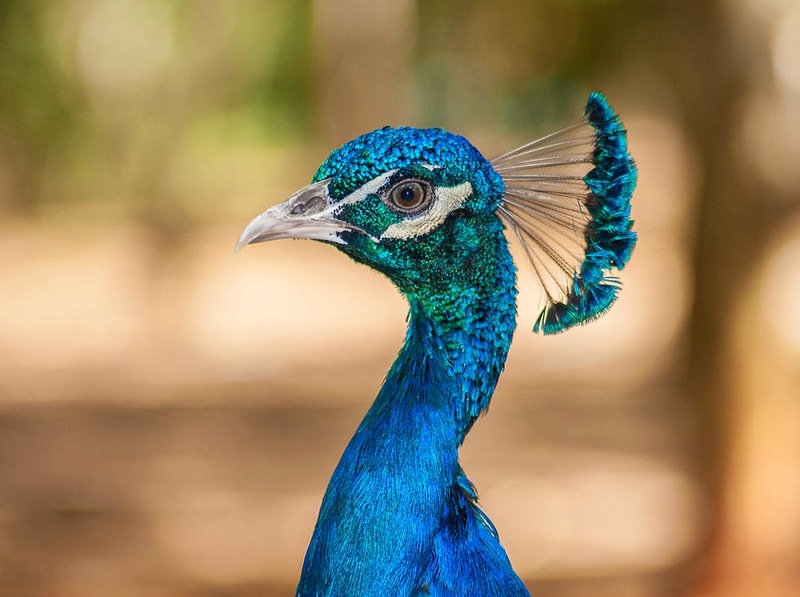 Everyone knows peacocks are beautiful birds, but did you know that all peacocks are males. The smaller and much duller colored females are called peahens. Together, peacocks and peahens are called peafowl. 11. The peacock uses its brightly colored train of feathers to catch the eyes of peahens. A peahen’s duller coloration meanwhile provides camouflage so it can better protect its eggs and chicks. 12. A peacock can have 150 or even 200 shimmering feathers in its train. But it doesn’t have this train all the time. Once the breeding season is over in late summer the peacock sheds these feathers. 13. Peacocks and peahens eat insects, seeds, grain, flower parts, leaves, berries, and small animals. 14. Wild peafowl roost in the trees at night, sometimes gathering into groups called parties. 15. They have to watch out for predators like wild dogs and cats and even tigers and leopards. Peafowl can fly short distances to escape. They also make a lot of loud cries to warn others. A male peacock might even try to scare some predators by fanning out its tail to look larger. 16. A wild peacock usually has a harem of several peahens. The peahen lays three to eight eggs on the ground in dirt or leaves. These eggs are about three times larger than chicken eggs. The peahen incubates the eggs for 28 days and stays with the young until they are ready to care for themselves. 17. The word Peacock is referred to a male bird, Peahen to a female bird and peachicks to an offspring. 18. Peacocks are one of the most beautiful birds. They are the national bird of India. 19. Peacock feathers are different to a normal bird’s feather. It looks like an oval shape. A peacock feather has got many detailed designs. It has got soft hair which is called a barb. It has got an eye pattern in the centre. This is a peacock’s trademark. Physicists say it is due to genetics that the eye print is there on the feather. At the bottom of the peacock’s feather it has barbs which are called loose barbs. 20. 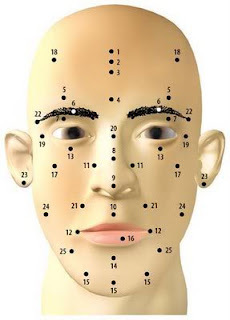 Around the eye pattern are close knit barbs. Every feather has a stem attached to its tail; this stem is called a white stem. It has barbs all around it. 21. The male's tail is also called his train. A train can measure up to 152.3cm (60 inches)in length. A peacock has a blue--green or a green coloured plumage. 22. Unlike the peacock the peahens don’t have the same things in their tail. They don’t have an eye pattern in their feather. Their feathers are light brown and a bit of white in colour.